You should avoid hedging, at least that's what I think. This is Mr. Lincoln, perhaps the most magnificent rose in the garden. 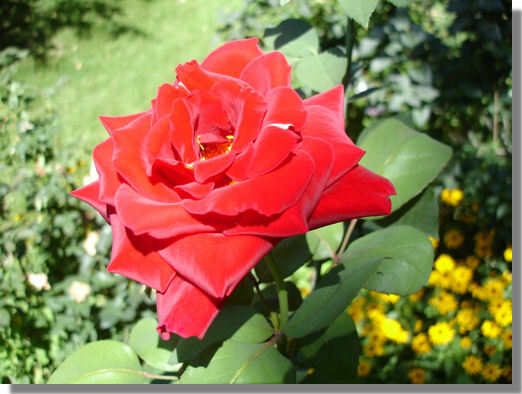 Standing tall – towering, in fact – over all other roses, it is a beauty to behold each time it blooms.